There will be no reunion for Fabio Capello and Zlatan Ibrahimovic. Fabio Capello turns down PSG – Paris Saint Germain’s bid. Capello’s son and agent Pierfilippo told Football Italia that no negotiations are underway with Paris Saint-Germain about his dad. The meeting with PSG’s sporting director was instead regarding some players. According to international media, negotiations have begun, but it has fallen on that Paris Saint-Germain just wanted to hire the Italian for a year and then solicit Arsenal coach Arsène Wenger. Fabio Capello is the coach of Russia and the Russian Federation pointed out in a press release that Capello will fulfill his contract which runs out next year. This entry was posted in Uncategorized and tagged Arsenal, Arsène Wenger, Fabio Capello, Fabio Capello and Zlatan Ibrahimovic, Fabio Capello PSG, Russia on June 20, 2013 by Johan Bengtsson. In the last few weeks there have been a lot of rumors on possible signings for PSG this summer. Here is a summary of who might join Zlatan Ibrahimovic in Paris Saint-Germain this summer. Mentioned recently in media to be ready for PSG next season, something sporting director Leonardo denies. 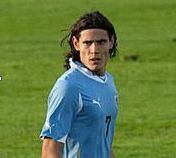 In Italian newspapers people are talking about a change between the clubs where Cavani goes in one direction and Zlatan Ibrahimovic in the other, but a change directly between the clubs is something that might be hard to do. 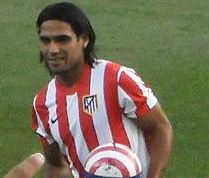 Mentioned as a possible replacement for Zlatan Ibrahimovic in the summer, but Falcao is able to pick and choose between the big European clubs and any direct contact with PSG has not been established yet. If Falcao would choose PSG over other European clubs it would be a big surprise. Signing Cristiano Ronaldo would be a dream for the Paris Saint-Germain, which came to life after Ronaldo himself last winter, did not rule out that he would play in PSG next season. But that Ronaldo would like to replace the mighty Bernabeu stadium in Madrid against unglamorous away games against Rennes does not seem very likely. 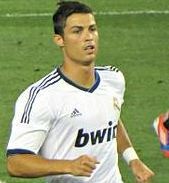 A signing of Cristiano Ronaldo would however put the French league in a totally different position and it would attract a lot of new fans. Signing Cristiano Ronaldo would also open up for a lot of other possible signings for PSG. Will most likely not remain in the Madrid after the summer and is the most likely candidate if PSG would be looking for an replacement for Carlo Ancelotti. But the question is whether or not the French Ligue 1 is too anonymous for Jose Mourinho. Mourinho likes to stay in the spotlight and recent years only been training top clubs in Europe’s most prestigious leagues. The Qatari leadership has also made a point that they want peace and working atmosphere around their coach, something that was never likely to be the case in the club where Mourinho settles down. 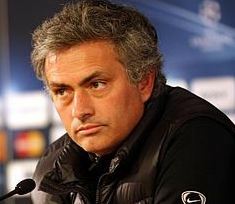 Signing Jose Mourinho would also be a big opener for additional possible signings for PSG. 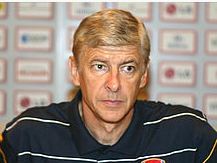 Has a contract with Arsenal that extends for another year, but Wenger was during the spring mentioned as a possible replacement for Ancelotti. The fact that Wenger would be heading back to France after nearly twenty years in England may seem logical, but many people believe that Wenger is not a big enough name to succeed in attracting future big players to PSG. The possible transfer targets for PSG are mainly high profile names and the rumors will continue to come in during the next few months. PSG has the money and the ambition to do something really big and that might attract some really big names like Cristiano Ronaldo and Jose Mourinho. Another name that have also been mentioned is Wayne Rooney but right now we do not see that transfer as very likely. We will follow up with the latest transfer rumors as they unfold and give you all the possible signings for PSG this summer as they pop up. This entry was posted in Paris SG, Transfer Rumors and tagged Arsène Wenger, Cavani, Cristiano Ronaldo, edinson cavani, Ibrahimovic, Jose Mourinho, Napoli, Radamel Falcao, Ronaldo, Rooney, rumers on move on April 29, 2013 by Johan Bengtsson.